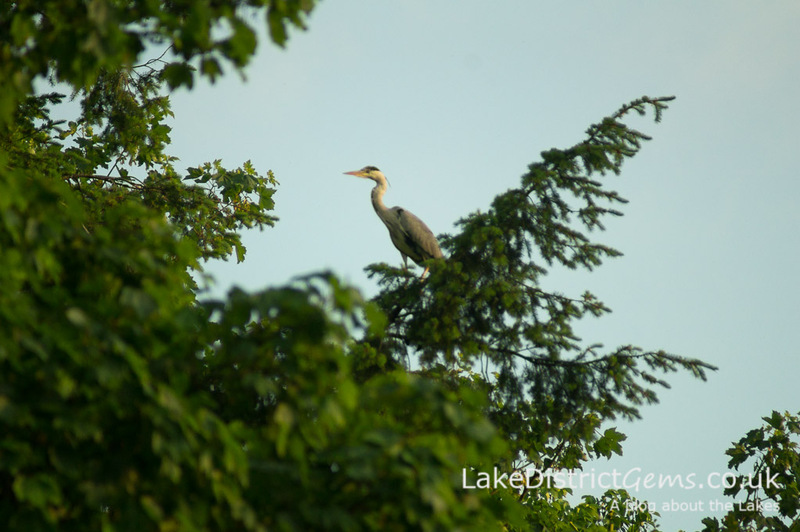 I absolutely love wildlife – animals can be such good fun! 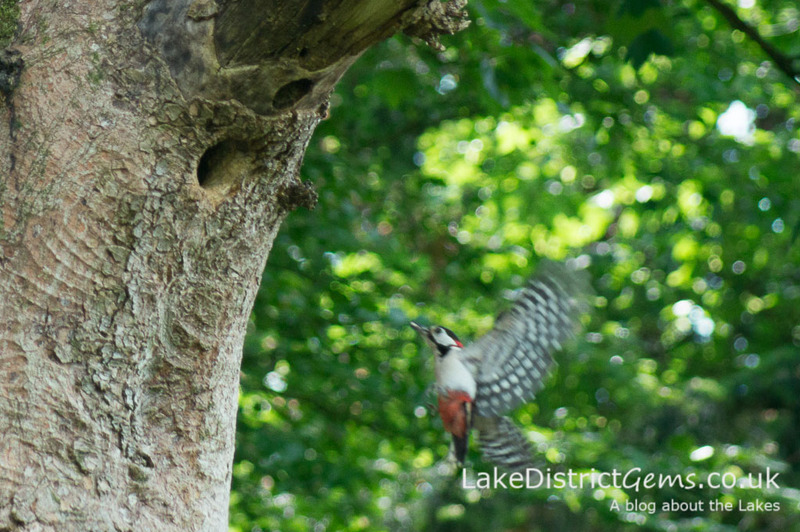 The garden suddenly seems much quieter now that this year’s baby woodpeckers have grown up and moved out – an event that happened a couple of weeks ago now. Before that, I couldn’t step into the back garden without ‘daddy’ woodpecker scolding me for being too near his tree and nest! 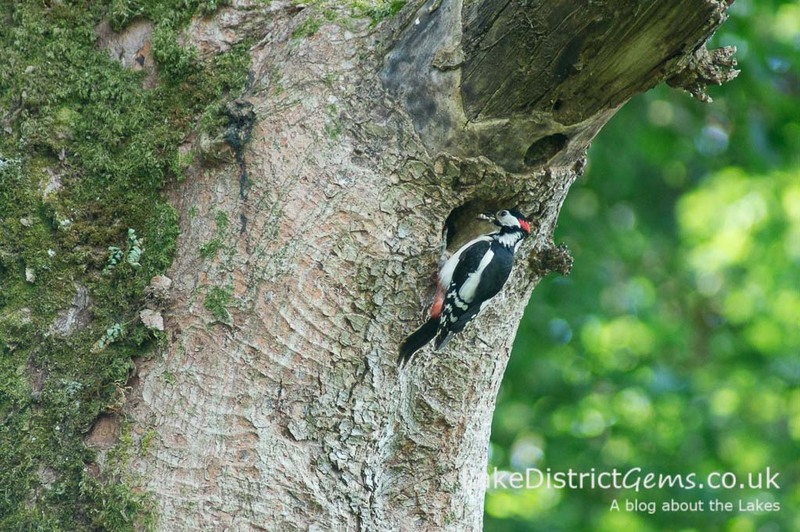 We first noticed that Great Spotted Woodpeckers were nesting in a Sycamore tree at the bottom of the garden three years ago. They made a return last year, and again this year too! 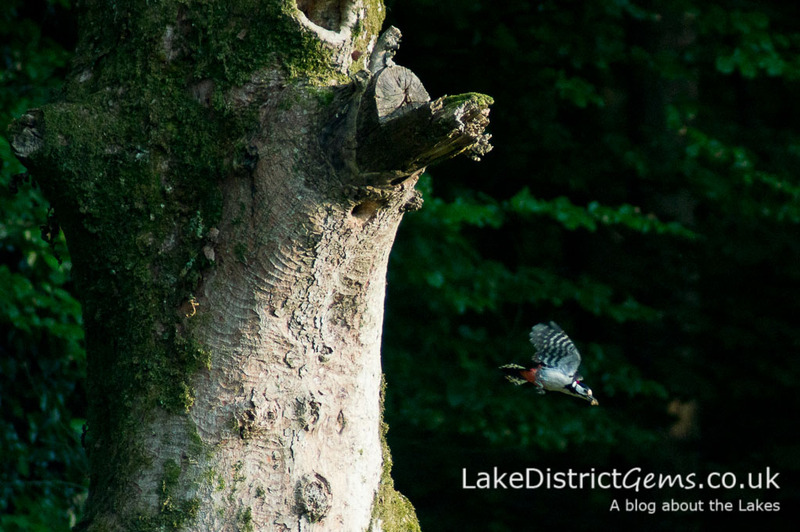 There’s no missing a nest of woodpeckers – the babies ‘cheep, cheep, cheep’ continuously from dawn until dusk, and it seems that they cannot be fed fast enough! 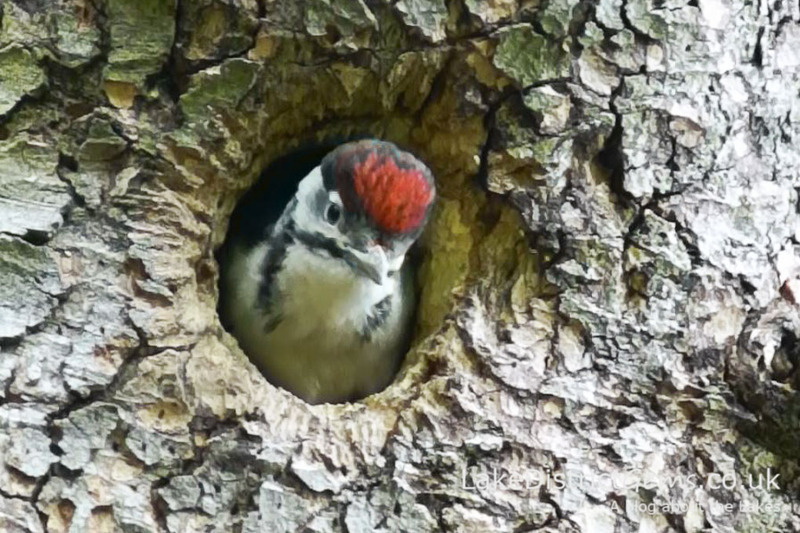 Last year I experimented with capturing video footage of the woodpeckers’ nesting hole, and this year I concentrated more on getting photographs. 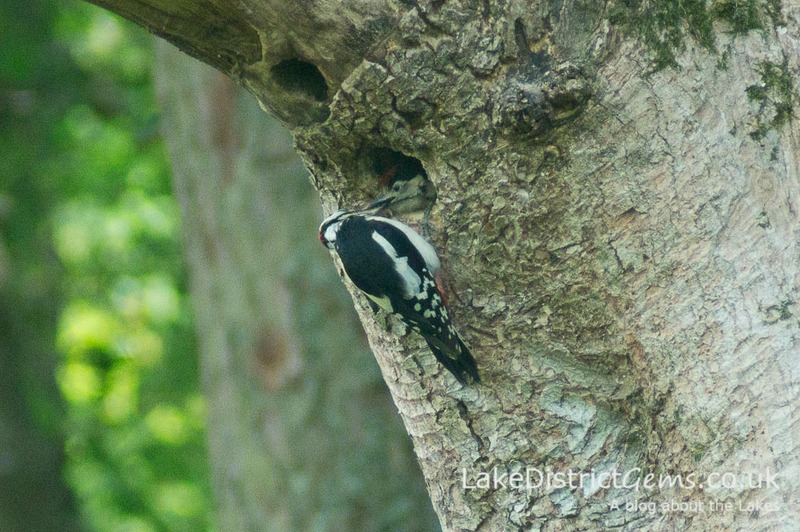 It’s surprisingly difficult to take photos actually, as daddy woodpecker would watch my every move. 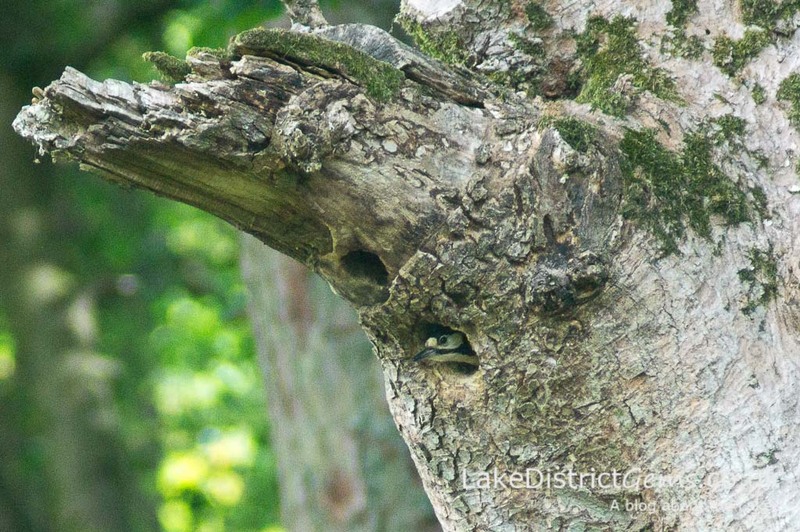 Once he’d got something to bring back to the nest, he would hide amongst the trees and shriek repeatedly until I’d made myself scarce – even when I hid under the Acer, I wasn’t fooling anyone! In the end I had to retreat behind an enormous, densely-leafed Pieris and trigger the camera from its vantage point on a tripod, using a remote control. Meanwhile, someone else was wondering why they weren’t getting the attention! I talk about ‘daddy’ woodpecker a lot here because, as someone pointed out when I first put the video footage on YouTube last year, male woodpeckers have a red nape, whereas female woodpeckers do not. 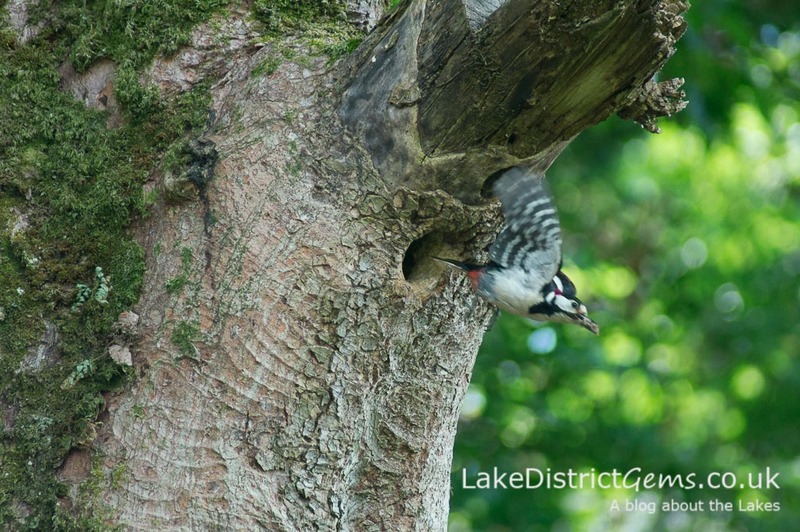 I haven’t seen much of the female woodpecker, so don’t know whether the adults share responsibility for feeding the growing woodpeckers when they’re in the nest, or whether this falls to the male during that time. Either way, they were great fun and good company – and I really hope they return again next year! Do you have some entertaining wildlife in your back garden?! I’d love to see your pictures – do share them by posting over on Facebook and Twitter! Because animals are so unpredictable, they test your camera skills to the limit – it’s great fun though!